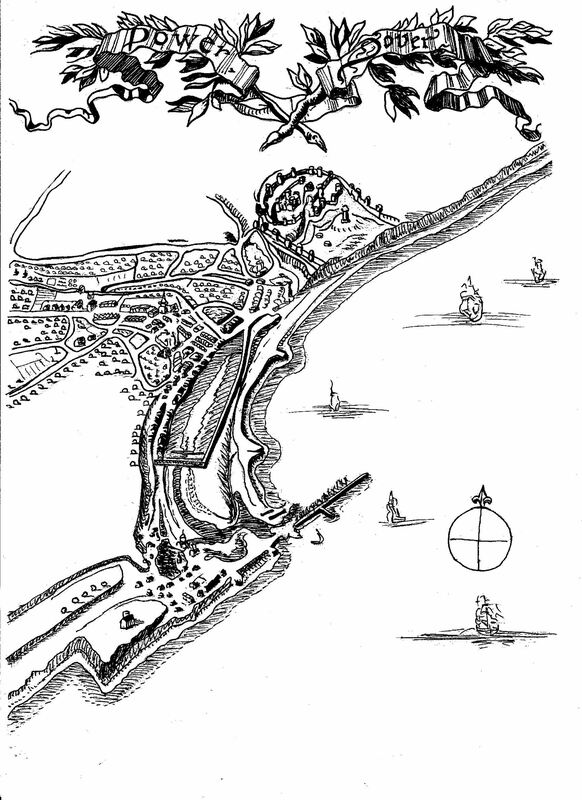 Edward Stephens was elected Dover’s Member of Parliament in 1589, the year after the Spanish Armada, along with Sir Thomas Fane. In those days, Dover boasted of two representatives in Parliament and Edward was the junior of the two. Although Sir Thomas has been revered in Dover’s history, Edward has been dismissed as an ‘outsider’. Indeed, in John Bavington-Jones, Annals of Dover (Dover Express 1916) it states that Edward was only admitted ‘to the Freedom of Dover to qualify him to be elected.’ As the records show, Edward was born about 1552, when Queen Mary (1553-1558) was on the throne, and spent most of his life in the town. It would seem that he received good formal education and when of age, became a customs official. Eventually he was promoted to the post of Deputy Searcher for Dover Harbour around 1582. Although well educated, Edward appears to have been somewhat hot tempered for records show that he was fined and bound over in 1582 for fighting Dover’s deputy Bailiff – who administered the local law! He also had an altercation with his boss on a market day that resulted in Edward getting bloody nose and another fine! On the other hand, depositions show that he took his job seriously and that he was threatened a number of times such that he had to apply to Queen Elizabeth’s (1558-1603) Privy Council for protection. 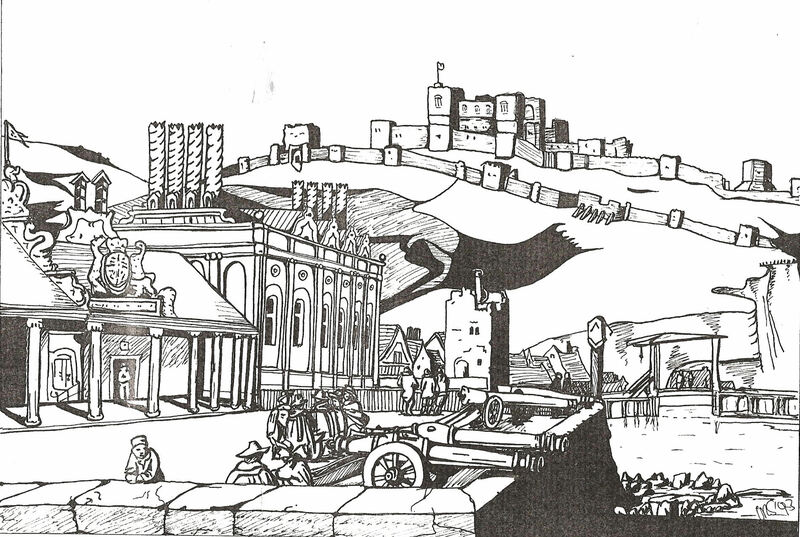 At some time prior to 1584, Edward married, for that year through his wife – the daughter of a Freeman – he claimed the right to become a Freeman of Dover. The couple had at least one child a son named Richard. Edward was elected to the Common Council and then a Jurat – one of twelve senior Common Councilmen. As an educated Freeman, Edward was appointed as one of Dover’s four Chamberlains or the Town’s treasurers, that same year. This was a thankless task but was the first rung of the ladder from being Jurat to becoming the all-powerful Mayor of Dover. The arduous task of the Chamberlain was collecting fines and taxes out of which they paid the Corporation’s bills. If there was not enough money to cover these, then the Chamberlains had to pay the difference out of their own pockets. They were reimbursed at the end of the year but in between, they had to meet their own commitments as well as spending a great deal of time chasing up defaulters. Although Elizabeth I was popular with the English Protestants, her major rival was her Roman Catholic cousin Mary Queen of Scots (1542-1587). Indeed, many argued that as her mother’s marriage to Henry VIII (1509-1547) was annulled, Elizabeth was illegitimate. This had been confirmed in a Bull by Pope Pius V (1566-1572) in 1570, which released Elizabeth’s subjects from obedience and those that did obey her orders could be excommunicated. 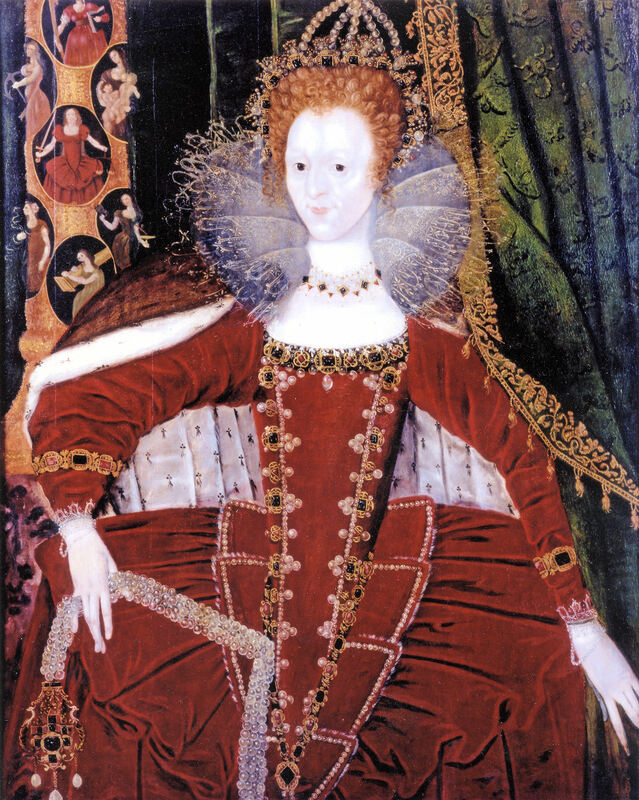 Elizabeth’s parliament reacted by making it a treasonable offence – carrying the death penalty – to try to convert English Protestants to the Catholic faith. From then on there were a number missionaries that arrived secretly from the Continent to reconvert England. There were also a number of conspiracies to end Elizabeth’s life and put Mary Queen of Scots on the throne. In 1583, Francis Throckmorton (1554–1584) had been found guilty, following torture on the rack, of conspiring against Elizabeth. Kentishman, Francis Walsingham (1532-1590), later known as the father of the English Secret Service, had uncovered the plot. By this time, Walsingham had a free hand to employ informers, use surveillance and intercept correspondence and use any means at his disposal to collect and collate information on potential assassination attempts. In March 1585, the Act of Surety of the Queen’s Person was passed that enabled a Regency Council to bring those guilty to trial in the event of Elizabeth’s death or wounding. In April 1585, Mary Queen of Scots was placed in custody and about the same time, in Dover, Edward detained a ship on which the French Ambassador, Seigneur Mauvissiére, was returning home. Several people were brought ashore and Edward interrogated them. One of these was Catholic sympathiser, Dodswell and with ‘persuasion’, he revealed an attempt to free Mary Queen of Scots by a group of Jesuits. Dodswell gave the whereabouts of these Jesuit priests and Walsingham acted upon this intelligence. The following year, Walsingham and his spies uncovered the Babington Plot, whereby Mary Queen of Scots, in a postscript of a letter to Anthony Babington, asked for immediate ‘intelligence of the successful assassination of Elizabeth.’ The letter was passed to Walsingham and placed Mary’s complicity beyond reasonable doubt. For service to his country, Edward was commended by the Lord Warden (1558-1596), William Brooke, 10th Baron Cobham, (1527–1597) but unsuccessfully stood for the position of the Mayor of Dover. Mary Queen of Scots was executed on 1 February 1587 and made the threat of a Spanish invasion real. In November that year, as a preparation for the inevitable invasion, Edward along with another Jurat and with 20 men each, were given the responsibility of protecting the town. 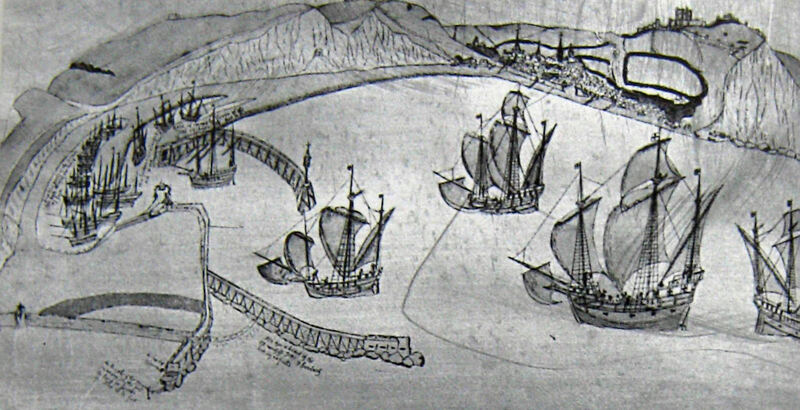 In August 1588, under the command of Alonso the 7th Duke of Medina Sidonia (1550–1615), 130 ships set sail from the Spanish port of A Coruña to invade England. Dover’s harbour had been enlarged between 1579-1586 but the Cinque Ports fleet were no longer the backbone of England’s navy. Nonetheless, the Cinque Ports Fleet of six ships sailed from Sandwich, to confront the Spanish Armada. 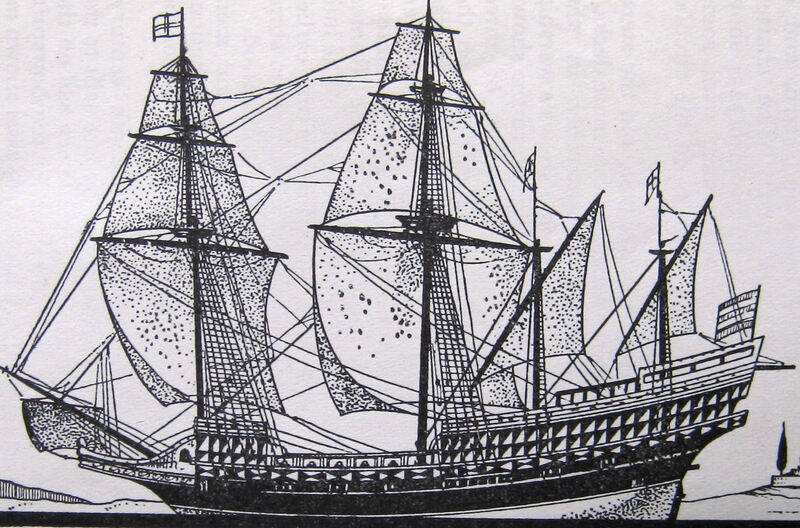 Each of the ships had one pinnace of thirty tons, in attendance and one of ships, said to have belonged to Dover, acted as decoy leading one the Spanish galleons onto a treacherous Goodwin Sandbank. There, the beleaguered galleon was set upon by the other Cinque Ports ships, her crew killed and the ship completely destroyed. Following the defeat of the Spaniards, Edward again stood for Mayor and again was not chosen. He was, however, elected as Dover’s representative in Parliament for which he received 2shillings 6pence (12½p) a day from three days before parliament sat until 3 days after. There is little on record to show how active Edward was in this capacity other than he was involved in the rebuilding of Dover’s harbour. Before he left parliament in 1594,Edward presented the House with a model of what is now referred to as the Thomas Digges harbour. This entry was posted in Maritime, Members of Parliament, People, Stephens Edward - the Customs Official who became an MP, Stephens Edward - the Customs Official who became an MP, Stephens Edward - the Customs Official who became an MP. Bookmark the permalink.